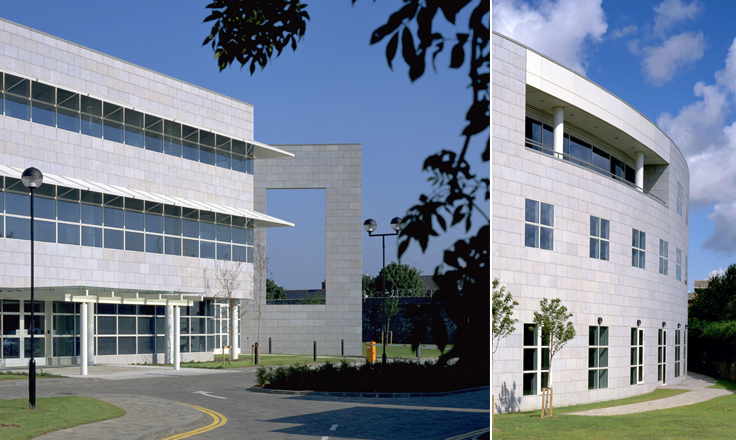 The Irish Blood Transfusion Service (IBTS) Library is located on the second floor of the National Blood Centre on the St James’s Hospital campus in Dublin 8. 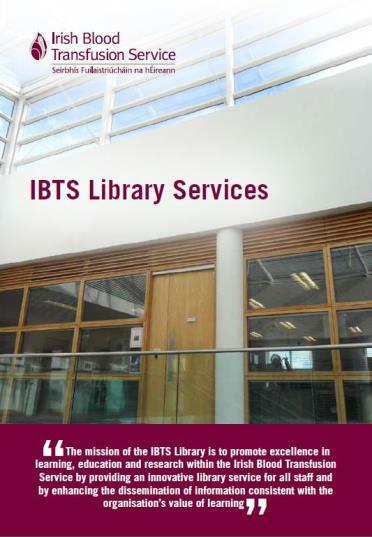 They deliver a Library and Research Service to the IBTS and provide access to resources to meet the research and education needs of IBTS staff as well as visiting students/registrars. The IBTS Library is a specialist Library for Transfusion Medicine, the branch of medicine that is concerned with the process of collecting (donation), testing, processing, storing, and transfusing blood and its components. The Library holds core text books and print and online journals as well as industry relevant manuals, standards and guidelines. They also hold articles, publications and theses written by former and current IBTS staff. Their non-medical book collection has been expanded in recent years to include publications on Marketing, Management, Organisational Behaviour, Human Resources, Leadership, Psychology, Sociology, Marketing and Self-Development. 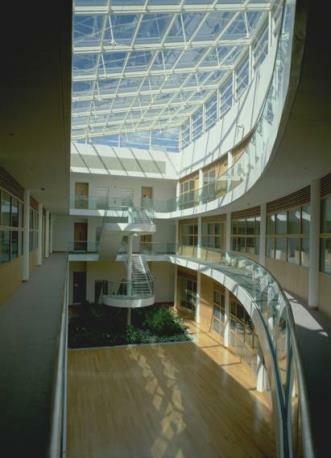 Health service professionals and anyone with an interest in the field of Transfusion Medicine can visit and use facilities free of charge. 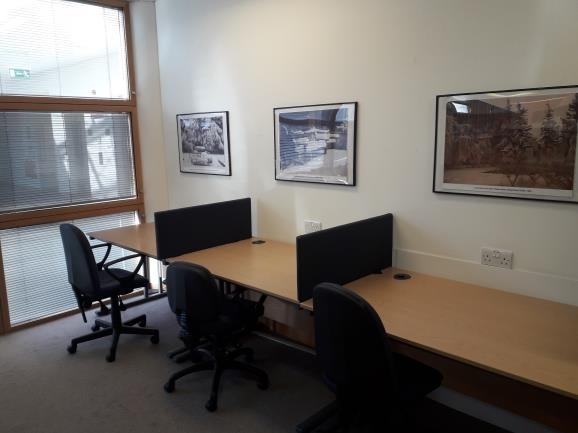 There are three quiet study desks available for use in the main Library. Access to the collection is reference only and books and journals cannot be borrowed by visitors. 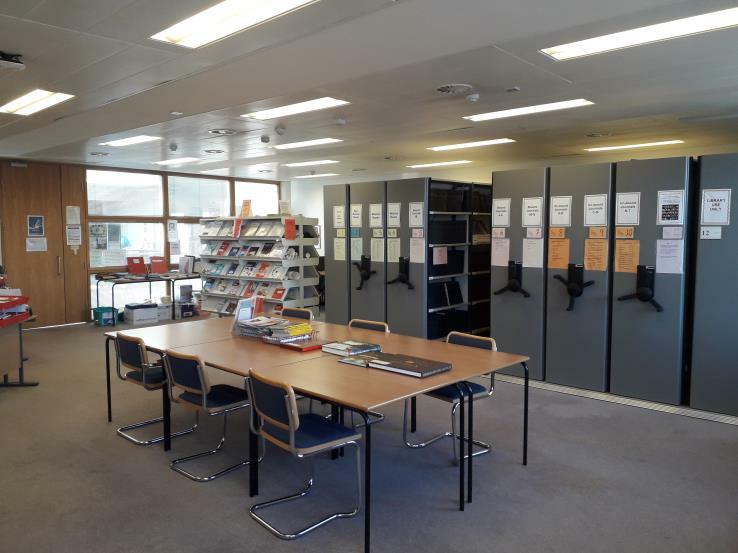 The Library is staffed by a Research Officer/Librarian and a Library Assistant and is open from 10.00am to 4.00pm Monday to Friday.